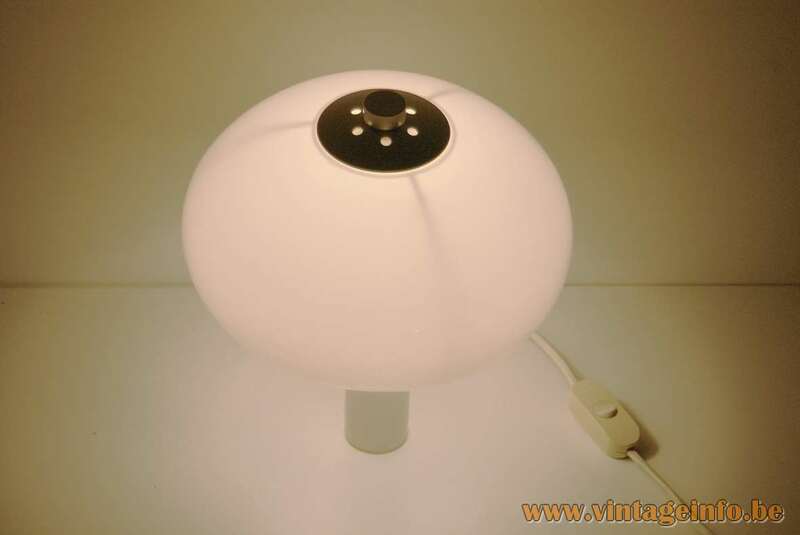 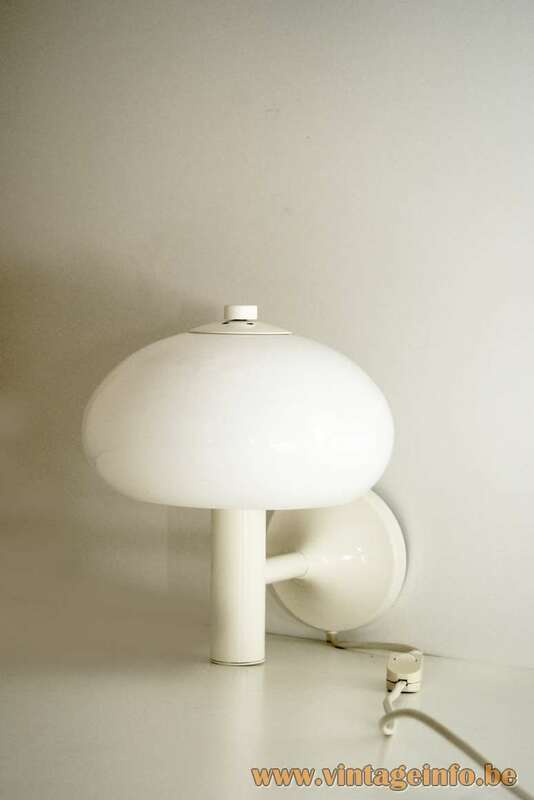 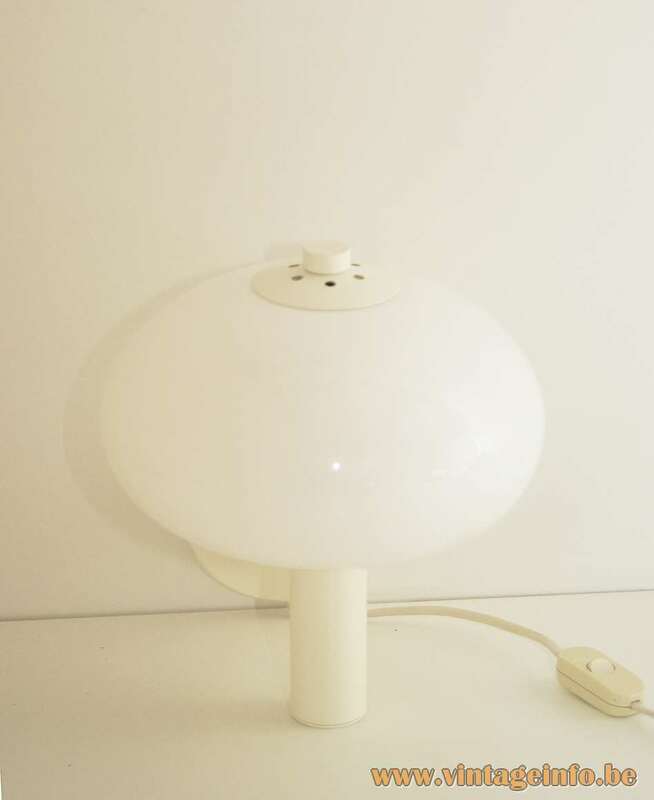 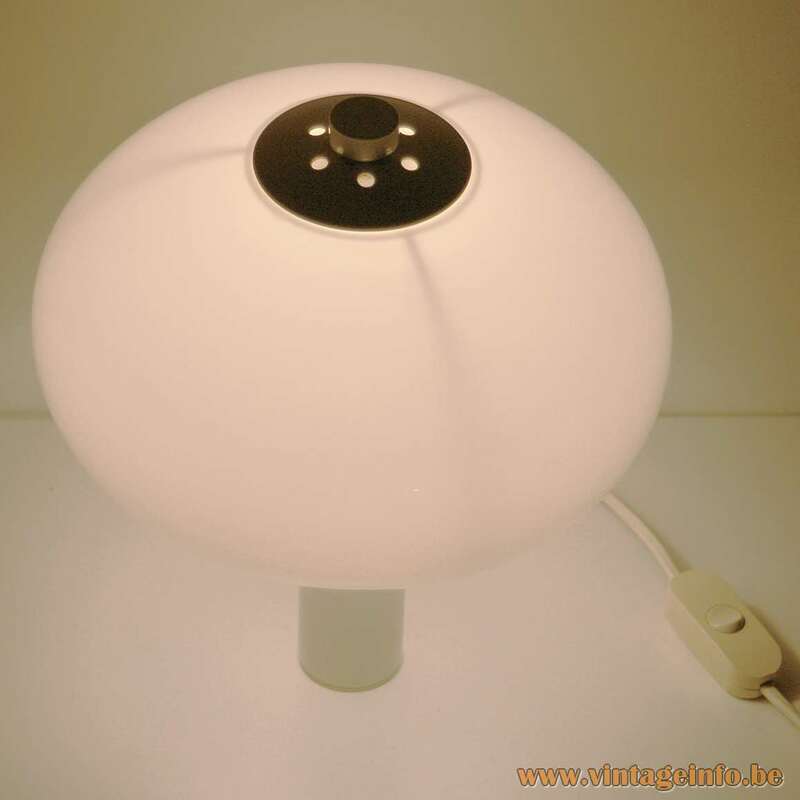 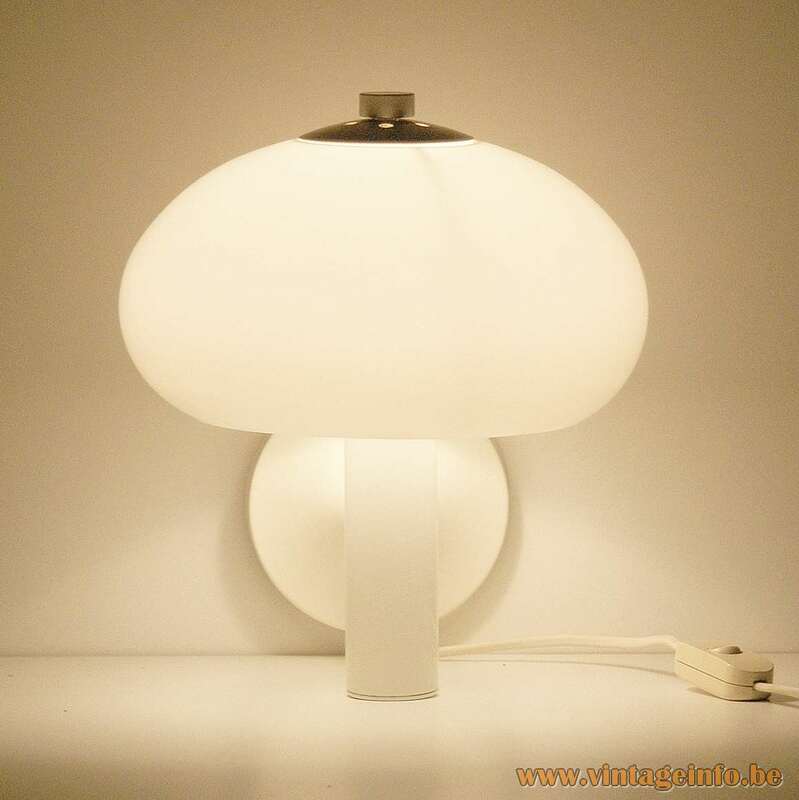 Materials: Opaque coloured acrylic lampshade, white painted aluminium base, Bakelite socket. 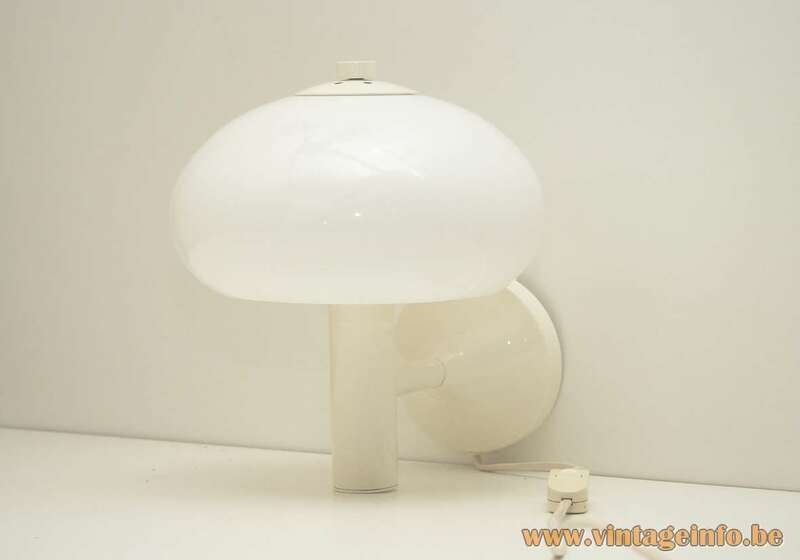 Period: 1970s, 1980s, 1990s – Mid-Century Modern. 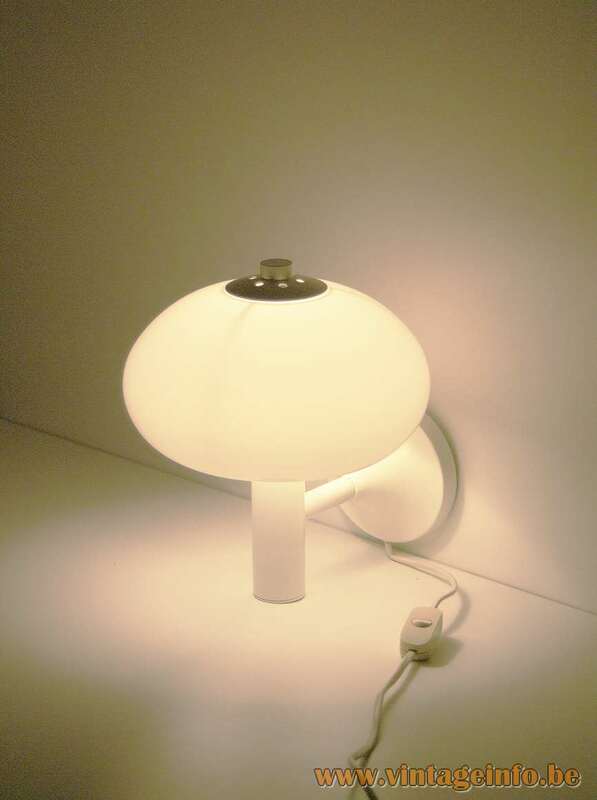 Other versions: Also made as a floor and table lamp. 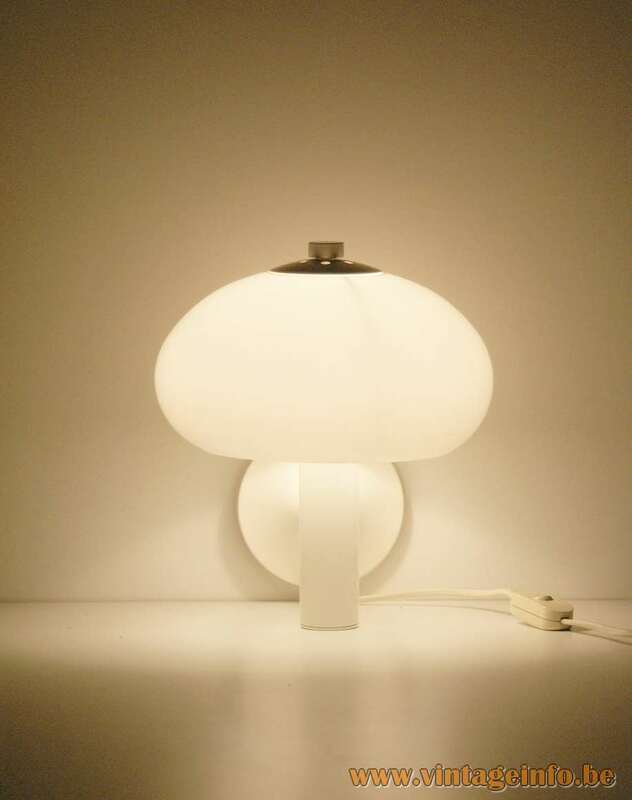 Made in a few colours.